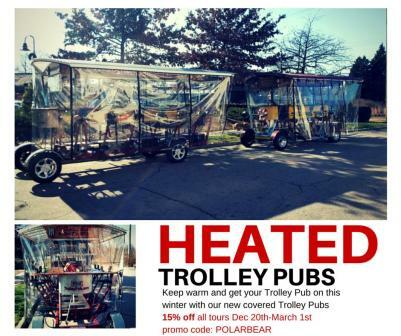 Our most popular option, private groups can book the entire Trolley Pub for a two hour tour. Go on a pubcrawl and stop by two or three of your favorite watering holes along the way! Perfect for any group occasion in Durham.